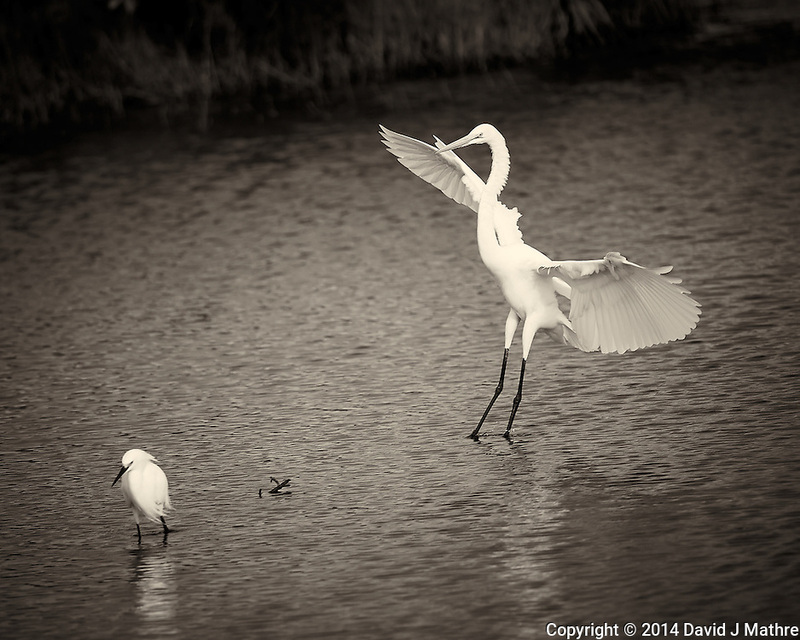 Great Egret Coming in to Visit a Snowy Egret. Merritt Island National Wildlife Refuge in Florida. Image taken with a Nikon Df camera and 300 mm f/4G lens (ISO 140, 300 mm, f/4, 1/1250 sec). Raw image processed and converted to B&W with Capture One Pro 7.